We’ve been writing a lot about the upcoming General Data Protection Regulation (GDPR) in recent weeks, as its impact will be widespread. The objective of the legislation is clear, and it has a global reach. In addition to European fallout, GDPR will require the majority of US-based companies to alter the way they collect, process, and store the personal data of civilians living in the Euro-zone. Non-compliance penalties are steep, so meeting GDPR standards is the key. Although it may seem like a daunting task, GDPR compliance is not one-size-fits-all. It’s also a great opportunity for organizations to take an intelligent, high-altitude view of its data governance strategies. This means that most organizations can take an individualized approach to meeting the demands placed upon them. There are a number of resources on the web to help you grip the basics – including our By the Numbers: GDPR and Data Management post. Once you’re comfortable with the vernacular, you’ll likely need some assistance implementing measures to ensure compliance. 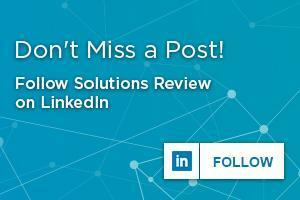 That’s where Solutions Review comes in. We’ve compiled this list of 8 GDPR-centric data management solutions you should consider if outside help is a necessity, and based on some of the numbers we’re seeing from concerned business executives, that’s likely to be the case. Commvault integrates backup, recovery, and archiving in a way that creates one searchable pool of all structured and unstructured data, no matter where it lives. The ability to identify the presence of personal data in tandem with automated special handling of information with standard data policies simplifies overall governance. 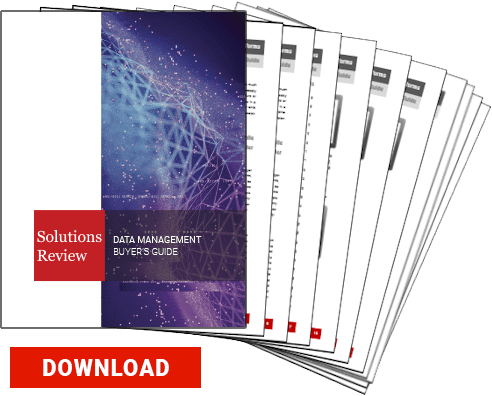 The DATUM GDPR solution provides the formula, methodology, and assets to help organizations comply. It allows users to define what data can be classified as personal information, discover where the data lives, who uses it, and how it is being used. In addition, DATUM creates company-specific best practices for unique demands. IBM offers a suite of solutions, services, and expertise to help organizations become GDPR compliant. Security capabilities protect fundamental privacy rights, the confidentiality of personal data, and use, notice, consent, choice, access, rectifications, and erasure. Conversely, governance functionality allows users to translate GDPR into specific norms, values, and actions. Informatica offers a data governance and compliance solution for GDPR that provides data identification, definition, governance, and mastering. The vendor’s Secure@Source tool delivers data access through visualizations and mapping of regulated data to detect potential risks. Integris provides organizations with the ability to build a picture of their PI to manage notice, consent, and subject rights requests. Users can design privacy policies using the vendor’s graphical policy editor, as well as identify which data elements are in each system in the event of a data breach. SAS provides software and services for many phases of the data protection lifecycle that provide organizations with the ability to access, identify, and govern data to ensure compliance. Role-based data masking and encryption techniques secure sensitive information while auditing capabilities help to proactively stave off penalties and breaches. Talend offers two recommended products for GDPR compliance, its Metadata Manager and Master Data Management solutions. The company provides automated data inventory creation for a detailed view of data subjects streaming in from any source. Talend captures and maps critical data elements across datasets and tracks and traces them with audit trails and data lineage. In addition to a variety of tools to help organizations assess their risk of non-compliance, Veritas offers an integrated GDPR solution that combines its services and professional advisers. The tool provides location, search, protection, and monitoring capabilities. 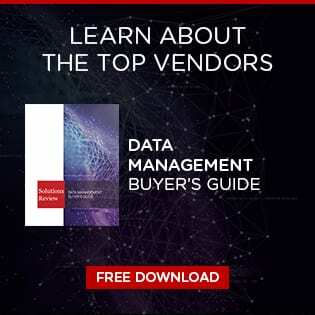 While only select vendors provide dedicated GDPR software products, many of the companies included in Solutions Review’s Buyer’s Guide for Data Management Solutions for Analytics offer services, support, and consultation packages surrounding the regulation.